Billet Dipstick T Handle 02-up Dodge, Chrysler, Jeep Billet Dipstick Handle 02-up Dodge Hemi, Billet Dipstick Handle 02-up Chrysler Hemi, Billet Dipstick Handle 02-up Jeep Hemi, Billet Dipstick Handle Dodge Magnum, Billet Dipstick Handle Chrysler 300C, Billet Dipstick Handle Dodge Challenger,Billet Dipstick [Billet Technology 30012 Dipstick] - $24.95 : 3rd Strike Performance, Your Source for Late Model MOPAR Performance Parts and Accessories! 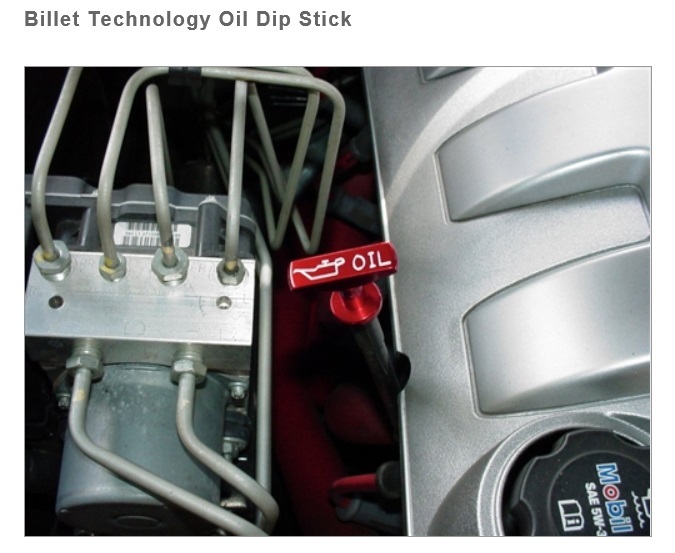 Check out this killer Billet Technology Dipstick and learn more about this product below. Machined from domestic certified, solid 6061-T6 aircraft aluminum. 2011-2014 Chrysler 200 all trim levels. 2005-2010 Chrysler PT Cruiser all trim levels.